To me, this pair speaks for summer and early fall fashion pairings with its yellow, brown, and red combination. Of course, you can swap out the colors for a different look for each season. I’d love to see pics if you use this pattern for your own beaded creations. Like Peyote, Brick Stitch is great for weaving in a pattern; there are plenty of blank Brick Stitch grids available on the web for you to print out and then draw some patterns for beading, then simply select the bead colours and pick up the appropriate bead for each stitch. As a kid, I loved strawberry ice cream so here is a throwback to my childhood days. 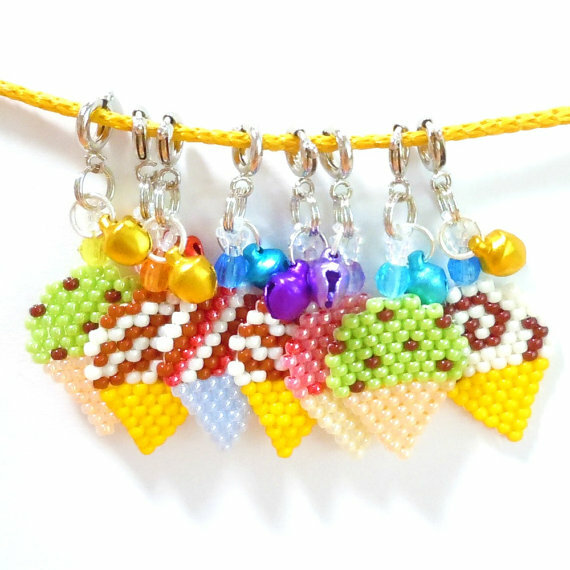 Here is a seed bead pattern for strawberry ice cream – in a cone please. Here are 3 different bed charts for 9 seed bead width brick stitch earrings. 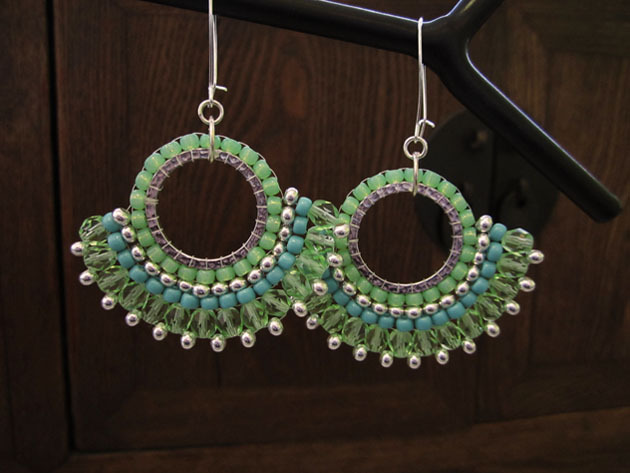 The very first thing I learned to bead was a pair of brick stitch earrings. I learned from thin book that I have since lost track of, but I got hooked and made every pattern in multiple colors. I’m starting to see them in retail stores, and thought it would be fun to create a cute design and share the tutorial. I hope you enjoy making them for yourself or a quick gift!